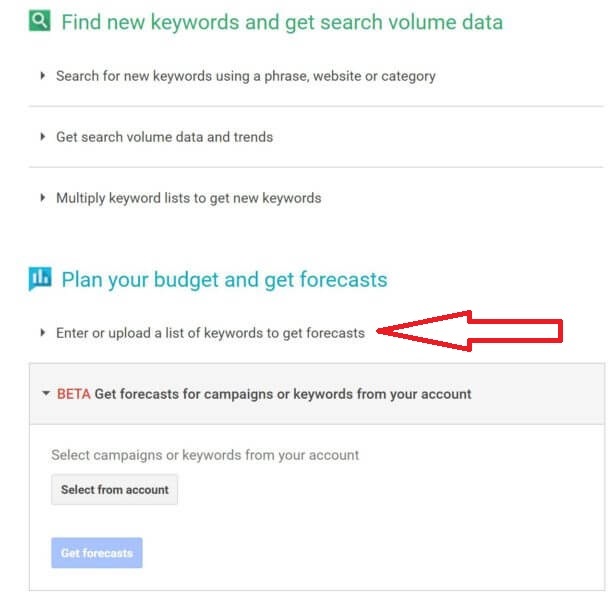 In this past week Google has introduced something new in their Keyword planner now you have the facility to forecast about your existing keywords in the Planner. You must look at it as it is one feature that is worth checking for. Although it is still in beta so this feature offers you to add keywords from an already existing account and already existing keywords in that account. When you click on “Select From Account” comes an option to if you want to select Campaign or Keyword from a drop-down. Choosing the one you want to choose it offers you to forecast performance and search volume trends these are the only two options right now in the beta. So the first option is performance forecast screen, and here you can see the effect of change in bids upon performance of campaign and keywords in the future whichever you selected in the previous step. It depends on the previous data already available in the account. 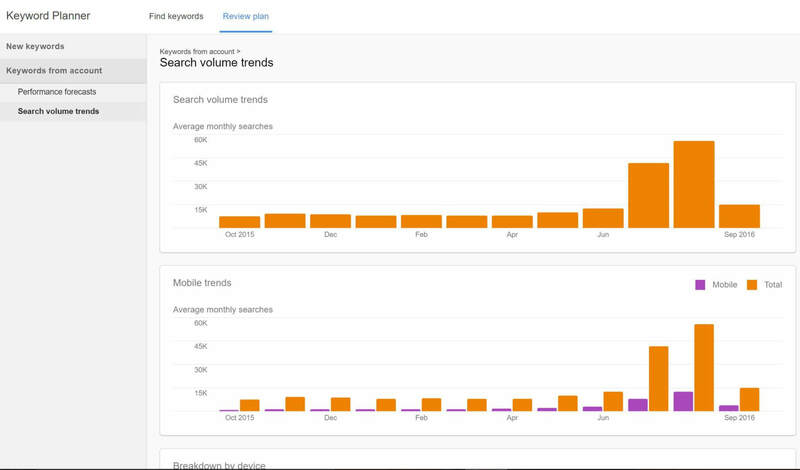 Second option to select is Search Volume Trends and when you choose it, it shows overall average monthly searches, as well as search volume trends broken out by device and location. If you would like to compare two trending data for the competitive research then you can also see that in the bottom. Thank you For Reading this article. Subscribe Us For More.